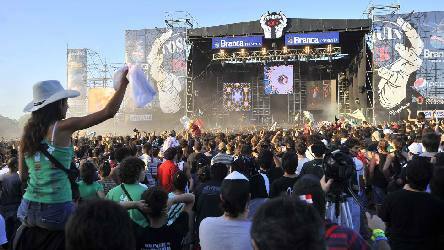 Cosquin Rock is an Argentine music festival, held annually since 2001. It is held at Cosquín, Córdoba. Important national rock singers and groups participate in the festival, along with some of the most important international rock bands, mostly of Spanish-speaking countries like Spain, Mexico and Uruguay. It is held in February during the summer holidays, and is one of the most popular music festivals in the country with more than 150,000 people attending each year. Some of the acts performing in the 2007 edition included Andrew Tosh, Gondwana, Ratos de Porao, Hereford, Babasónicos, Attaque 77, Las Pelotas, Rata Blanca, Kapanga, Intoxicados, Las Pastillas del Abuelo, Callejeros, Carajo, Almafuerte, La 25, Los Pericos and others. In 2009 the festival was headlined by British hard rock band Deep Purple. The Buenos Aires Jazz Festival is a music festival first organized in its current form by the city government of Buenos Aires in 2002. The festival takes place in multiple venues and, in recent years, has attracted around 36,000 spectators. The Festival seeks, through its programming and its various series and activities to honor the diversity and colorful sonic palette that is at the very essence of jazz. The event has attracted internationally renowned jazz artists, among them Kenny Barron, Anthony Braxton, Michael Brecker, Dee Dee Bridgewater, Ron Carter, Herbie Hancock, Fred Hersch, Freddie Hubbard, Rosa Passos, Chucho Valdés, and Randy Weston. In the tradition of the best international festivals, the Buenos Aires Jazz offers other activities beyond the concerts: photography exhibits, film theme, conferences and open interviews with leading performers. The Buenos Aires Carnivalis an annual event that takes place during the Carnival festivities, usually at the end of February, on the streets of Buenos Aires, Argentina. The two day event features murga parades, colourful customs, water bombs and many other amusement activities. 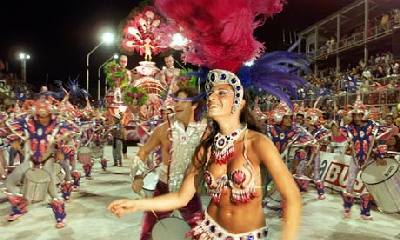 In Argentina the music genre that’s synonym with carnival is called murga. Murga is a percussion-based rhythm usually performed by a marching band, live on the streets, without amplification and its dance sometimes involves complex aerial, almost acrobatic moves. Argentine murga dancers wear colourful shiny costumes that cover most of their bodies in the shape of classic gentlemen’s suits, many times including top hats and other symbols of aristocracy from colonial times taken out of context. Fiesta Nacional de la Vendimia (The Grape Harvest Festival) takes place annually in the city of Mendoza, Mendoza Province, Argentina. The first vendimia celebrations in Mendoza Province occurred in the 17th Century, the first official Vendimia festival took place in 1936. Today it is one of the most important festivals in the country attracting large numbers of tourists to the region. It is a world renowned celebration of wine and the winemaking industry. The main event occurs in the first week of March in Mendoza city featuring hundreds of dancers and performers, the selection of a "Reina Nacional de la Vendimia" (National Vendimia Queen) and a large firework display. The Buenos Aires Festival Internacional de Cine Independienteis (BAFICI) is a international festival of independent films organized each year in the month of April, in the city of Buenos Aires, Argentina. BAFICI was born in 1999 and has ever since grown to become one of the most prominent film festivals in the world, placed as it is in a privileged position on the international film agenda. The Festival is renowned as an essential means of promotion for the independent film output, where the most innovative, daring and committed films can be shown. With its wide range of films including Argentine, Latin American and worldwide premieres as well as well-deserved retros, BAFICI is the greatest, most prestigious event for the independent cinema in Latin America. Creamfields Buenos Aires is an annual electronic music festival hosted in Buenos Aires featuring DJs recognized in the worldwide electronic scene. It has seen more attendees compared to other Creamfields events in Latin America with almost 70,000 people attending its sixth edition. 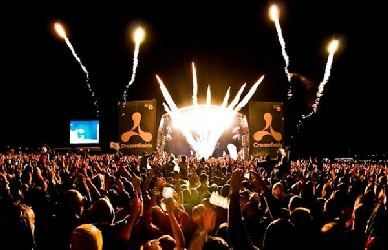 Names like Hernan Cattaneo, Steve Lawler, Satoshi Tomiie, Booka Shade, Deadmau5, UNKLE, Gorillaz Soundsystem, David Guetta, Gui Boratto and Roger Sanchez have headlined at Creamfields Buenos Aires. The festival has the status as one of the most important electronic music festivals of the continent and one of most popular in the entire world. Septiembre Musical is an annual international arts festival that takes place in the province of Tucumán, Argentina. Since its inception, the festival became a cherished social and cultural event as it would receive, in successive editions, artists like Ravi Shankar, Duke Ellington Quartet Tokyo, the virtuoso Russian violinist Boris Belkin, the Camerata Bariloche, Ástor Piazzolla, Mercedes Sosa, the pianists Bruno Leonardo Gelber, Martha Argerich, Miguel Ángel Estrella, Sylvia Kersenbaum and Pia Sebastiani, Les Luthiers, The New York Quartet, Porteña Jazz Band, Vienna Boys' Choir and Mariano Mores Orchestra. Inspired by the Maggio Musicale Fiorentino, the September Musical was originally dedicated to academic symphonic music, chamber and choral, but over the years was adding disciplines such as ballet, opera, jazz and popular genres like the folklore, tango, rock and pop. 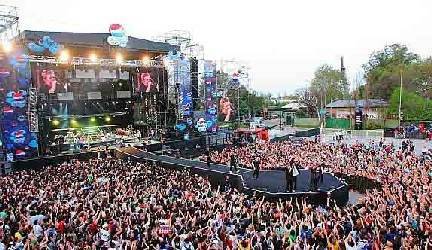 Pepsi music festival is a major Argentine music festival, held annually since 2003. It is named after its main sponsor, Pepsi. It has been held in several places in the past including the Ferro Stadium and River Plate Stadium. The festival is the largest and longest music festival in the country with more than 200,000 persons attending in 2006, during it's 10 days. The most important national rock singers and groups participated of the festival, along with some of the most notable international rock stars. Artists in 2011 included the Red Hot Chili Peppers, Jauria, Las pelotas, Katy Perry, Snow Patrol, Primal Scream, Jarabe de Palo and others.